Concert day is almost here! 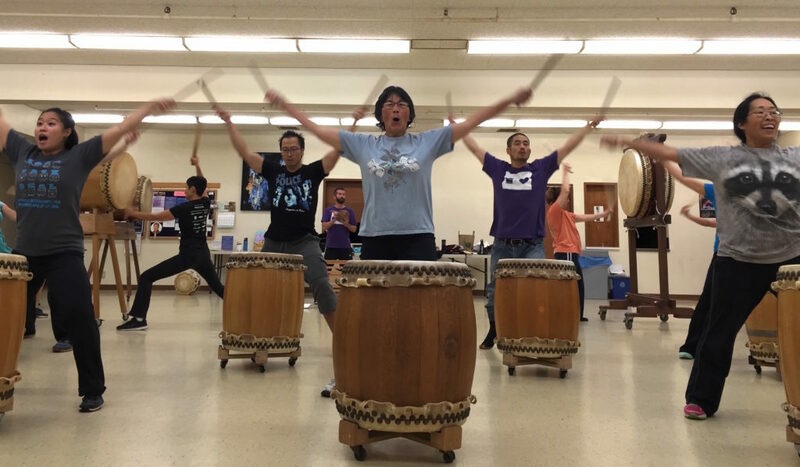 Our big fall concert with TaikoProject is this Sunday! We’ve been hard at work refining our pieces and planning out the logistics – like how to get the huge Shoji Odaiko out of its storage and to Catlin Gabel’s theater. Portland Taiko will be playing the first half of the show, and TaikoProject will play the second half. One of the especially fun parts of preparing for this concert is that PT will be joining TP for their last song, so we’ve been learning by video, and will put it all together on Saturday night. At our show at Washington Park over the summer, we were able to bring back an old community-based composition, A Place Called Home. We’re presenting that piece again in this concert (again with the help of PT founder June Schumann! ), and we’ve made a few changes to enhance how the story of the piece is told. For me as a long-time member of Portland Taiko, this piece represents one of the truly special things about PT – a piece composed by the group, based on interviews with community members, with real meaning behind it. Please come out and see us on Sunday!